In the year 1900, 82 percent of Christians lived in North America and Europe. By 2015 that number had dropped to 35 percent. Today, according to the World Christian Database, the majority of Christians are in the Global South, where the church is growing at an estimated 1.9 percent, compared with 0.1 percent in the Global North. 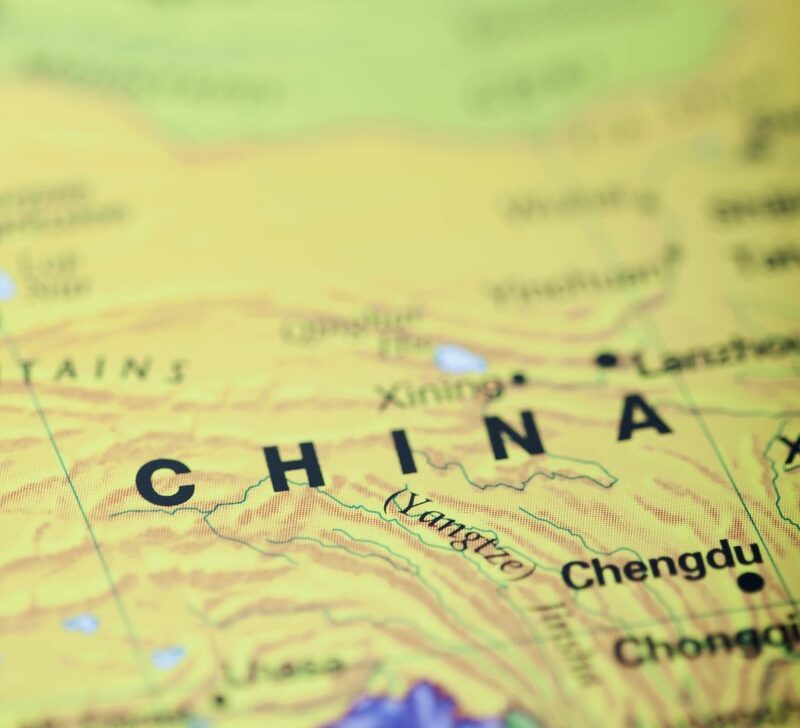 Much of this growth has taken place in China, which, according to some statistics, could have the largest concentration of Christians within the next 15 years. This shift in world Christianity reflects a larger rebalancing of global power relationships. Along with profound economic, political, and military implications, this reshuffling has significant ramifications for the Western church and its role in the world. In the global transformation currently underway, China has risen to a position of unprecedented influence. Analyzing the contours of this shift, Gideon Rachman—a Financial Times journalist and author of Easternization: Asia’s Rise and America’s Decline—contrasts a relatively younger Asia, where most nations continue to see steady population growth, with an aging West whose population is shrinking. Stimulus policies combined with a younger workforce seeking improved standards of living have altered the financial picture in countries like China, which in 2014 overtook the United States as the world’s largest economy in terms of purchasing power. China could have the world’s largest concentration of Christians within the next 15 years. Using data from the International Monetary Fund, Harvard scholar Graham Allison, in his book Destined for War: Can America and China Escape Thucydides’s Trap?, estimates that by 2023 China’s economy could be 50 percent larger than America’s, growing to nearly three-times as large by the year 2040. On the domestic front, Rachman writes, this global rebalancing is marked by a trend toward heightened nationalism under strongman leaders. Examples include Indian prime minister Narendra Modi‘s Hindu nationalism, Xi Jinping’s “Chinese Dream,” Vladimir Putin’s resurgent Russia, and, yes, “America First” under Donald Trump. Expanding economies feed growing military budgets, enabling nations that have chafed under Western global leadership to correct what they view as the wrongs of history. The decades-long quest for interdependence that characterized the post-World War II era is now giving way to the politics of raw power. The decades-long quest for interdependence that characterized the post-World War II era is now giving way to the politics of raw power. Whether economically, militarily, or in terms of demographics or cultural influence, the rise of China and other majority-world nations continues to test the post-World War II order and the effectiveness of institutions that have, until now, served to preserve a delicate balance among competing international interests. Organizations like the United Nations in Geneva, the International Monetary Fund in Washington, and the Internet Corporation for Assigned Names and Numbers (ICAAN)—the non-profit body that effectively governs the internet—have all played a defining role in setting the playing field for global diplomacy and commerce. They’re certainly not without critics, and whether they create a level playing field continues to generate heated debate. Yet, bolstered by the rule of law underpinning the nations in which they’re based, these entities have delivered a degree of stability and predictability to world affairs. In recent years China has been particularly deliberate in its criticism of existing Western institutions, viewing them as extensions of American power intended to curb China’s growing influence. In their place China seeks global support for an alternative set of institutions. It launched the Asian Infrastructure Investment Bank (a vehicle for extending its global financial reach) as a direct challenge to the longstanding supremacy of financial institutions such as the Washington-based World Bank. Examining the rivalry between the United States and China, Allison explains how the stress between a rising and a ruling power results in conditions that can eventually lead to a military clash. Following a “century of humiliation” at the hands of Western powers, China’s leaders see America’s enduring international influence as the primary obstacle to reclaiming their country’s rightful place in the world. In their eyes, China—once the world’s largest economy and most advanced civilization—is now in the midst of national rejuvenation, leading to a return to its former glory. As it exerts budding economic and diplomatic clout abroad, China finds itself increasingly at odds with America, especially in the Pacific. Here a host of potential flashpoints include China’s militarization of man-made islands in the South China Sea, the efforts of renegade province Taiwan to carve out an identity apart from the Mainland, longstanding animosity between China and strong U.S. ally Japan, and China’s continued support of the unstable and increasingly belligerent regime in North Korea. Together these create the conditions for military miscalculation that could lead to all-out war. Allison argues that war between the United States and China isn’t inevitable, but it is more likely than most care to recognize. While neither country is by any means eager to go to war, both sides would agree that the risk of unintentional consequences posed by heightened tensions in the region has risen significantly. For Western Christians the dynamics of this transformation are mirrored in the challenges facing the church as it confronts a new reality, suggesting important questions about the Western church’s role in a rapidly changing world. The reshaping of the world order portends significant changes to the international institutions and norms that have defined global interaction for much of the past century. For Western Christians, the dynamics of this transformation are mirrored in the challenges facing the church as it confronts a new reality, raising important questions about the Western church’s role in a rapidly changing world. While China is a primary concern, these questions pertain more broadly to the Western church’s relationship to the majority world as a whole. In the shifting global order, the nations that had been economically dominant now find themselves at the mercy of those who were once their creditors. Emerging from the 2008 financial meltdown in a position of relative strength, China has relished its ability to project its economic might abroad. Since 2008, 40 percent of the world’s economic growth has occurred in China alone (Allison, 12), and China has become increasingly aggressive in its demands on Western nations whose own fortunes are, to a large extent, reliant on the Chinese economy. As Western nations move from a position of assumed superiority to one of interdependence, so the church in America and Europe is moving from a place of dominance to one of increased interdependence with the global church. Should it continue to lose ground in the cultural and political spheres at home, it may find itself in the position of a despised minority in an aggressively post-Christian West. Some may argue it already has. As Western nations move from a position of assumed superiority to one of interdependence, so the church in America and Europe is moving from a place of dominance to one of increased interdependence with the global church. The key to the Western church’s ongoing effectiveness may well be its ability to learn from majority-world believers, many of whom know what it means to be salt and light in the face of political and cultural restrictions. For Western Christians who have long taken for granted their ability to effect societal change at the ballot box, these may be difficult lessons. Some of the nations where the church is growing the fastest (China included) are those where political freedoms are severely curtailed or even nonexistent. How Christians in these countries manage to live out the gospel on a personal and community level speaks volumes to believers in the West who struggle to maintain a relevant witness in the face of indifference or outright hostility. Examples from China include believers’ creativity in building a vibrant online Christian community inside the “Great Firewall” erected by their government (to keep out pernicious influences), or the Christian educator who gains prominence in her community by operating a private school staffed with Christian teachers. Believing entrepreneurs share Christ in companies that have gained a reputation for ethical business practices. House churches reach out to “left behind” children neglected in the wake of massive urbanization. Though denied access to the levers of political power, these Christians are having a powerful effect on their society. The Western world’s declining influence and church attendance affects the ability of traditional mission agencies to sustain their influence abroad. Further, the church’s growth worldwide calls into question the relevance of conventional mission efforts. How Christians in these countries manage to live out the gospel on a personal and community level speaks volumes to believers in the West who struggle to maintain a relevant witness in the face of indifference or outright hostility. These developments should prompt a reassessment of the Western church’s role in missions. Non-Western missionaries can travel freely in many of the nations off-limits to Western believers. Most sent from China in the years to come will not wear a “missionary” label but will go in non-traditional roles as teachers, business people, service workers, or other professionals. Since many come from churches that lack sufficient financial resources to support full-time workers overseas—or, if they do have the resources, are hampered in their ability to send funds abroad—these non-traditional roles may represent the most viable option for a sustained missions-sending movement. [The non-Western missionary movement] comes not from the centers of political power and economic wealth but from the periphery. Critically also, it emanates from contexts of religious plurality where Christianity has historically been a minority faith, a persecuted religion, or simply one among others. These factors have serious implications for the effectiveness of its “missionaries.” They are likely to be free from the arrogance and triumphalism associated with a Christendom mentality . . . and will plausibly have much to offer the church in the West as it grapples with issues of identity and relevance in the face of emerging religious plurality. 1. Taking the Christian message to people who have not yet heard the message of Christ. 2. Serving the church through technical skills and providing training. 3. Encouraging and teaching the church by virtue of experiences gathered in different cultural contexts. Western Christians need their non-Western counterparts in order to meaningfully engage the nations. 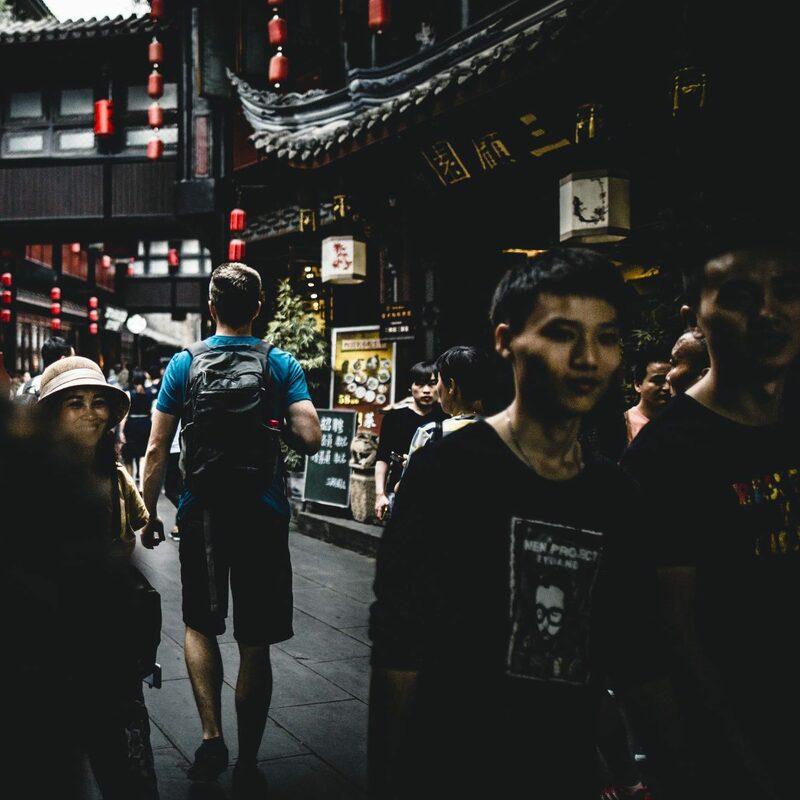 Non-Western Christians in emerging mission movements, like the one currently developing in China, can, in turn, benefit from the experience of Western mission leaders and agencies, provided these agencies recognize the need for new wineskins in a changing global order. Although the trajectory of change is clear, the end of the current global rebalancing is by no means in sight. Western institutions continue to undergird commerce and diplomatic interaction worldwide. Despite the economic upheaval of recent decades, the developed Western nations maintain their unique role as being among the most generous in the world. For its part, China faces numerous internal challenges that could derail or significantly slow its rise to power. These include endemic corruption, a burgeoning elderly population, environmental degradation, a dangerous credit bubble, and the threat of massive social unrest should China experience an economic slowdown. What happens in Beijing or Shanghai matters in Minneapolis and Chicago and Denver. Amid the rebalancing, the church continues to grow, but for Western Christians the global church landscape has become increasingly unfamiliar territory. One response might be to recoil from the change and retreat to a place of cultural familiarity. Yet in a shifting global order, this becomes less of a possibility. The changes aren’t just taking place “out there”; the forces redrawing the global landscape have profound influence domestically as well. What happens in Beijing or Shanghai does matter in Minneapolis and Chicago and Denver. Life “at home” will be different as a result. A more forward-looking response would be to welcome newfound interdependence with the global church—including brothers and sisters in China. Granted, the pursuit of this interdependent relationship is hampered by government efforts to restrict the influence of China’s Christians at home and to limit their interaction with the church abroad. The political division of the church into “official” and “unofficial” camps, for example, effectively prevents the major international evangelical bodies from engaging meaningfully with China’s Christians as a whole. As a result, the voice of one of the world’s largest Christian communities is largely absent from global discourse. This absence was illustrated poignantly at the 2010 Lausanne Global Congress in South Africa by rows of seats left empty as delegates were prevented by the Chinese government from attending. New regulations imposing fines on believers who make unauthorized trips abroad for training or conferences could pose another obstacle once they go into effect next month. Despite these efforts to muzzle their voice, there are ways to welcome China’s Christians into the global Christian conversation. Many from China who now serve in evangelical institutions in the West or elsewhere in Asia maintain their relationships back home. They play a key role as conduits for ideas flowing in and out of China and as bridges to the global community. Western Christians serving in China as educators or business people can play a similar role. 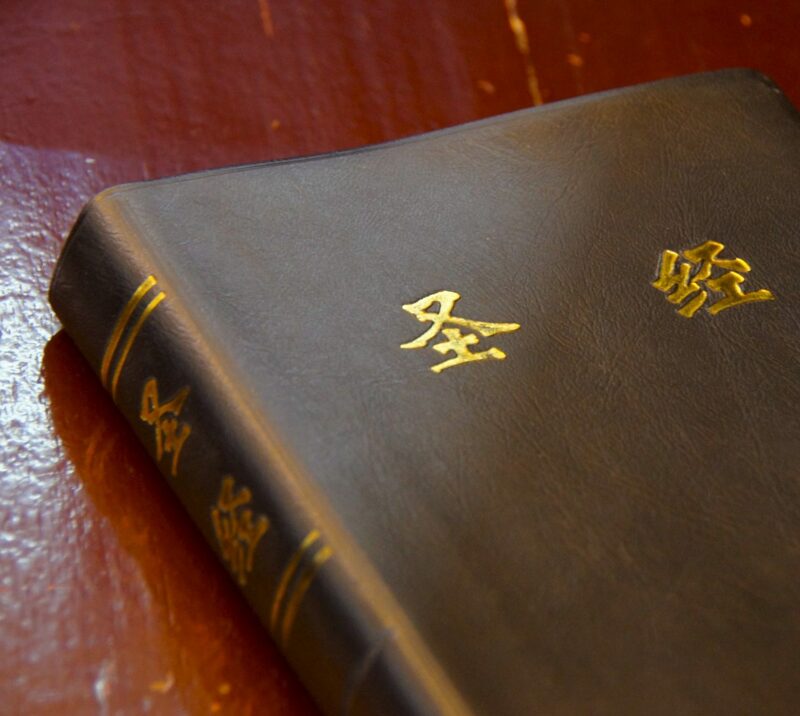 Tapping into the vibrant Christian conversation occurring online in China­—as ChinaSource does through its Chinese Church Voices project—provides another means for bringing Chinese believers into the global Christian dialogue. The emerging movement of missionaries from China is already creating natural opportunities for international cooperation and collaboration. Greater intentionality and creativity in involving Chinese Christian leaders in global forums can go a long way toward forging relationships that will contribute to the body of Christ worldwide. A Chinese friend’s comment years ago that “in China anything is possible; nothing is easy” seems particularly apt when considering how to bridge the vast cultural and political gaps currently separating Chinese believers from the global church. Yet China’s rise, and the emergence of China’s church as one of the world’s largest Christian communities, demands that the Western church take its engagement with China seriously. 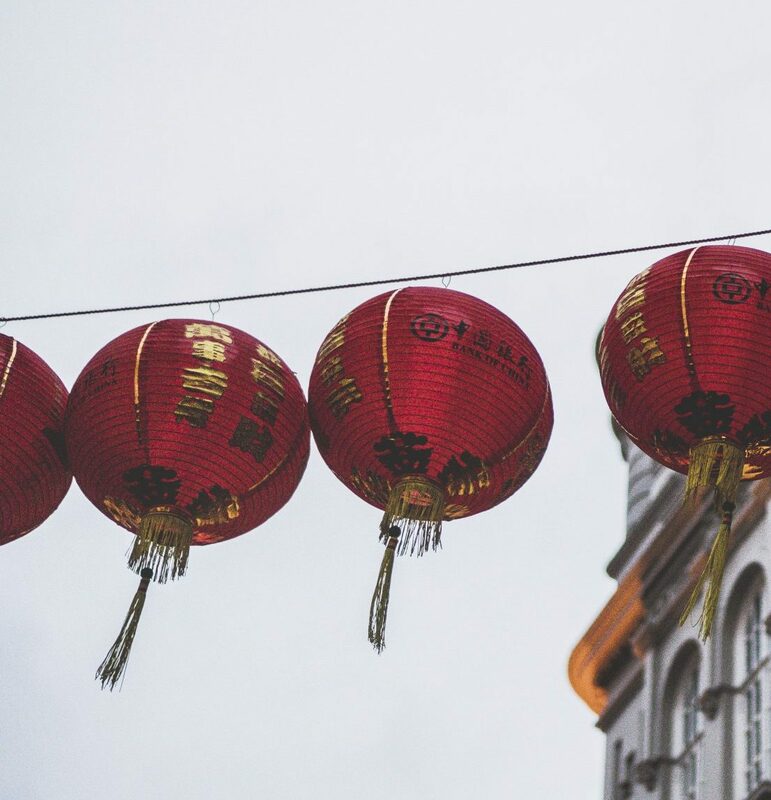 For the Western church, tapping into theological insights that arise from other cultural contexts, such as China’s, can bring spiritual rejuvenation. In some cases it might serve as a helpful corrective to some of the excesses plaguing the Western church. Embracing emerging non-Western leaders and institutions as true allies in the cause of Christ, rather than as means to fulfill Western ministry goals, can result in a humbling appreciation for how God is advancing his kingdom around the world. Learning how believers in restrictive environments employ creative means for sharing the gospel can stimulate the Western church’s own witness. Embracing emerging non-Western leaders and institutions as true allies in the cause of Christ, rather than as means to fulfill Western ministry goals, can result in a humbling appreciation for how God is advancing his kingdom around the world. A new posture of interdependence can also bring the global church closer to fulfilling Christ’s prayer “that they may be one” (John 17:20). Whether the prevailing mantra in one’s home country is “The Chinese Dream,” “America First,” or some other version of the nationalistic fervor sweeping the globe, Christ’s followers have the opportunity to stand against the tide by demonstrating a solidarity that transcends national boundaries. Doing so requires taking a hard look at how our personal priorities and those of our churches align with God’s sovereign plan for the nations. As we live out this unity in Christ, a turbulent and increasingly divided world will take notice. Brent Fulton is president of ChinaSource, an international organization serving the global Christian as a resource on China and catalyst for collaborative ministry, and is the author of China’s Urban Christians: A Light that Cannot be Hidden (Pickwick, 2015).